The Angélique story takes its readers to three main geographical areas, beginning with France – centred mostly on the western province of Poitou, the Palace of Versailles, the outskirts of Paris and the city itself. Louis XIV’s foreign policy meant that a number of new provinces were added to the map of France during his reign – mostly in the north-east and east. The map was later revised again following the revolution of 1789 when the National Assembly created 83 departments of roughly equal size. In order to dilute old loyalties and unite the country, their map was inspired by geography rather than feudalism or religion. 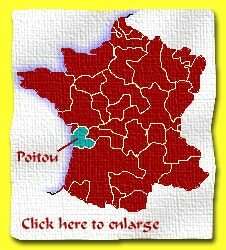 The places which feature in the Angélique books are mostly in modern day Poitou-Chartentes. 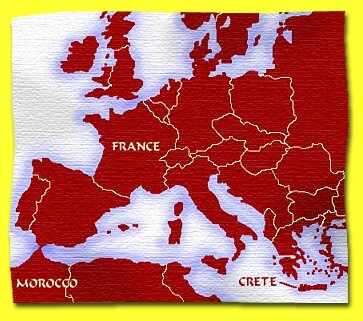 For the fourth book, ‘Angélique and the Sultan’, she travels to the Greek island of Crete and then on to the Barbary Coast of North Africa (present day Morocco). 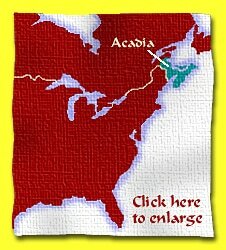 In the sixth book, ‘Angélique in Love’, our heroine finds herself in the New World for the first time, in an area known as Acadia, which comprised what are now the provinces of New-Brunswick and Nova-Scotia on Canada’s eastern seaboard.